Workspaces are collaborative or shared environments that contain portfolios, artifacts and discussions. A new workspace can be created by any user, at any time. 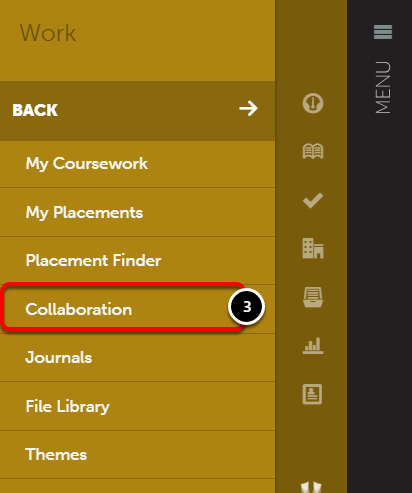 This lesson will teach you how to create a new collaborative workspace, which you will own and manage in your account. Don't see the "Work" Menu? In order to create a Collaborative Workspace, your account must have "EP" access. Please contact your local CWPRo Administrator to request access. 1. Click on the Main Menu Icon. 2. 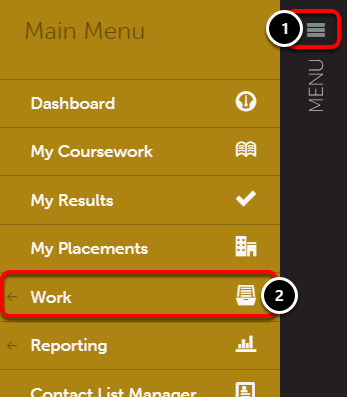 Click on the Work option. 4. Enter a Workspace Name. 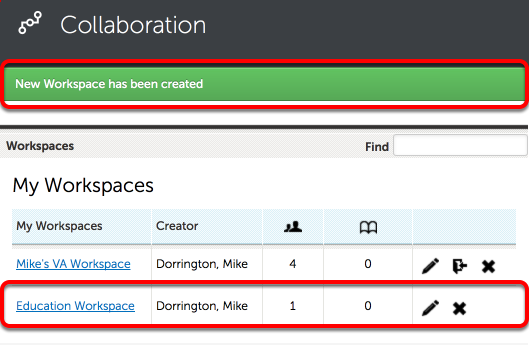 The creation will be confirmed in green and you should see your new workspace appear in the My Workspaces list.